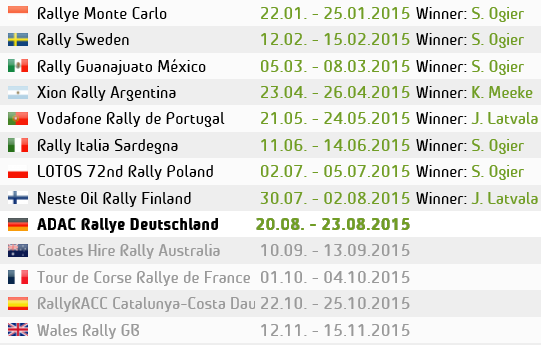 The action conitues this morning, and not half way through the first stage of the day SS20. Sebastien Ogier has Stopped at 13Km’s in the stage. The world of rallying was expecting an epic battle for day 3 of rally Mexico, with Loeb leading yesterday untill mechanical problems, giving 1st place to Ogier, who lead after day 2. With 10 seconds between the two Seb’s they launched into SS20 the first stage of the day. Ogier first on the road, and really pushing to keep Loeb behind him, not 13Km’s into the stage, Sebastien Ogier Stopped. Loeb passed him in the stage, and we hear reports that Ogier went off and broken his left front wheel. – It looks like his rally is over.